Bangkok is an enigmatic concoction of ancient Siamese heritage and modern, global culture. From a tiny trading post in the 15th century to being one of the hottest tourist destinations in the world, The Big Mango has come a long way. 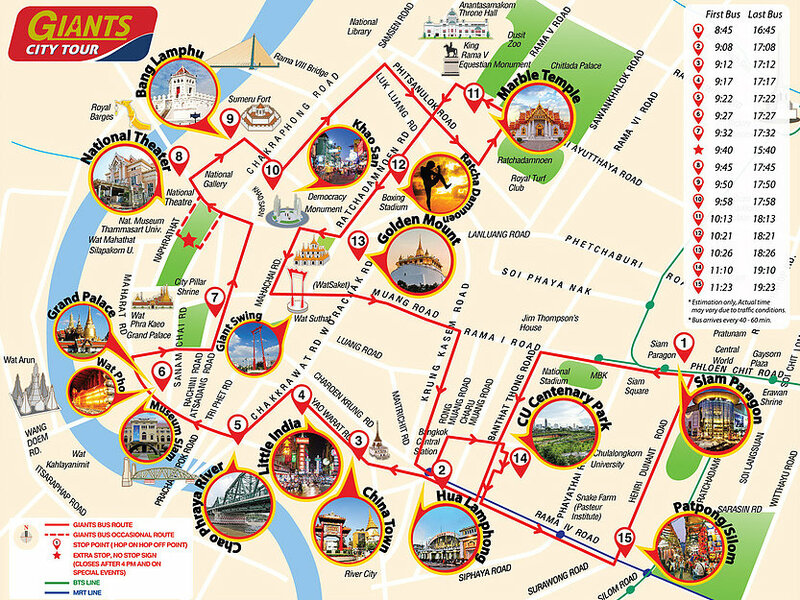 This Hop-On Hop-Off Bus Tour through the heart of Bangkok is an excellent way to treat yourself to the spectacular cityscape and vibrant street life. The City of Angels is a melting point of cultures from across the world. Historic shrines, royal palaces, unforgettable street food, incredibly warm people, insane nightlife, street shopping haven - no wonder people cannot get enough of this breath taking place. The architecture here, too, is a mesmerising mix of ancient Siamese designs and contemporary aesthetics. But most importantly, the city is a treasure trove of marvellous experiences - from having the biggest China Town in the world to some of the best spas to hosting massive international concerts, there’s no reason to not visit Bangkok! Matching up to Bangkok’s intoxicating vibe, the tour bus comes with captivating live commentary from multilingual guide (English / Mandarin) to keep you engrossed in the city’s fascinating history. Take your pick from a convenient 24, 48 or 72-hour option and soak in the city’s extraordinary atmosphere at your own pace! Buses run between 8:45am to 7:20pm, every 40-60 minutes. Timings are subject to change, please check the frequency and bus operating hours on the day of your tour just to be safe. You can board the bus from an of the designated stops. The first bus leaves from Gate1 of Siam Paragon. Unfortunately, the current Royal Thai Government law does not allow open-topped buses for safety reasons. As a result, all our buses are ones with high-glass, non-tinted windows for perfect views.